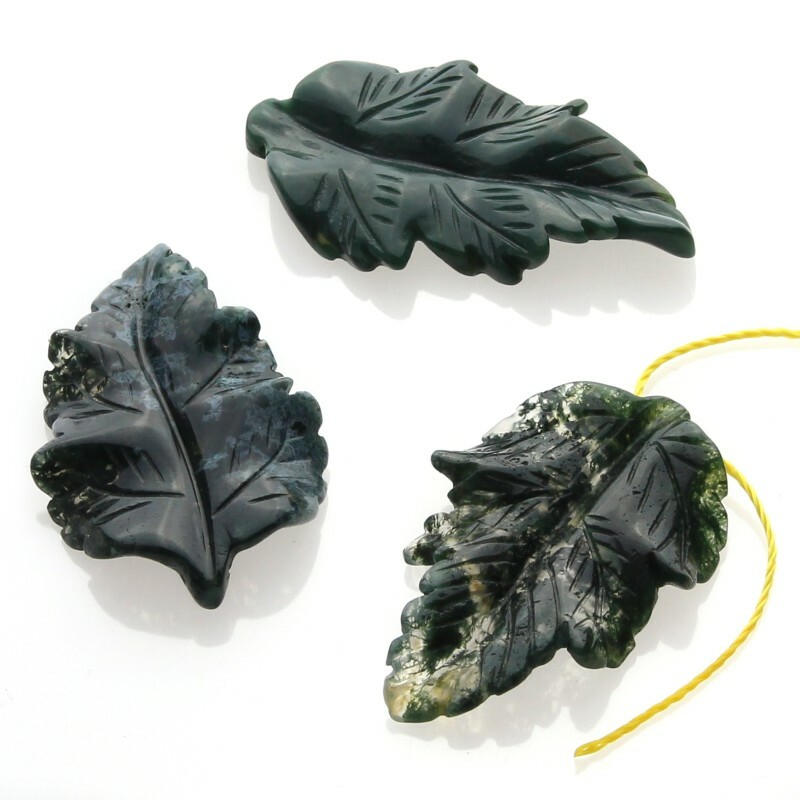 Three-dimensional natural stone Leaf pendant. 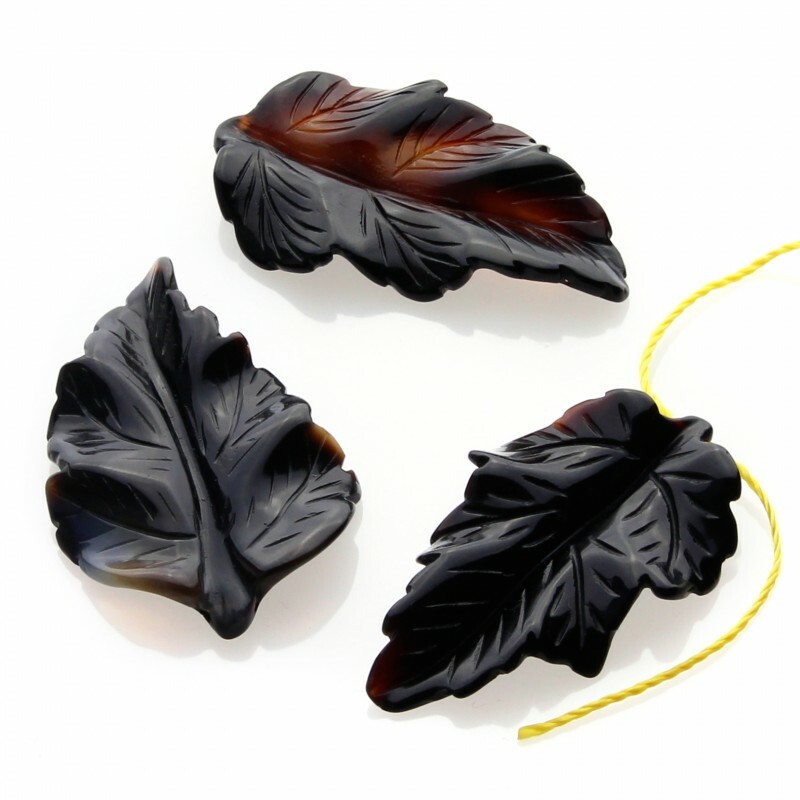 This natural stone pendant is carved as a three-dimensional, real-looking leaf. 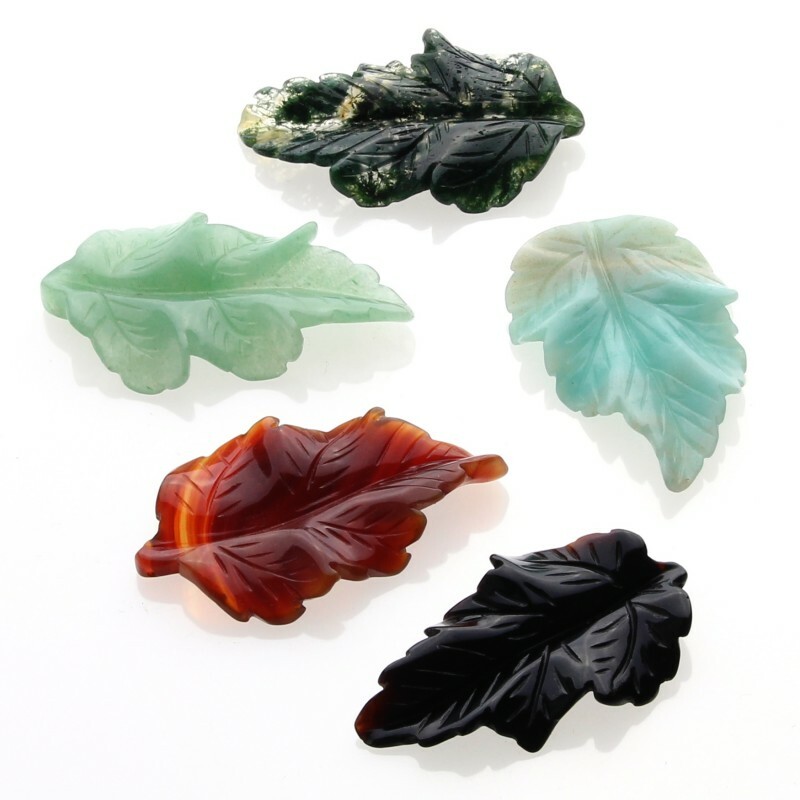 As it is a piece made of natural stone, its color, size or shape may have small variations. 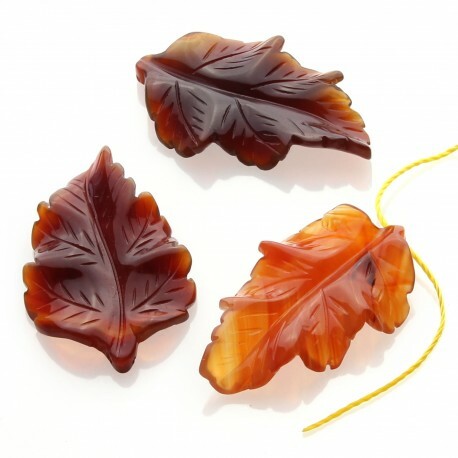 It has a hole to facilitate its engagement as a pendant or to make necklaces, along with other beads or charms. The leaf-shaped pendant is available in five different stones: Moss Agate, Green Aventurine, Amazonite, Carneola or Black Agate. It measures approx. 48 mm x 30 mm, and its weight is about 8 gr.